– We live up in New England and it’s pretty cold outside right now. I found that a lot of the craft stores don’t carry long sleeve shirts for toddlers (smaller than a kids’ size XS) so I bought the shirts at Target. 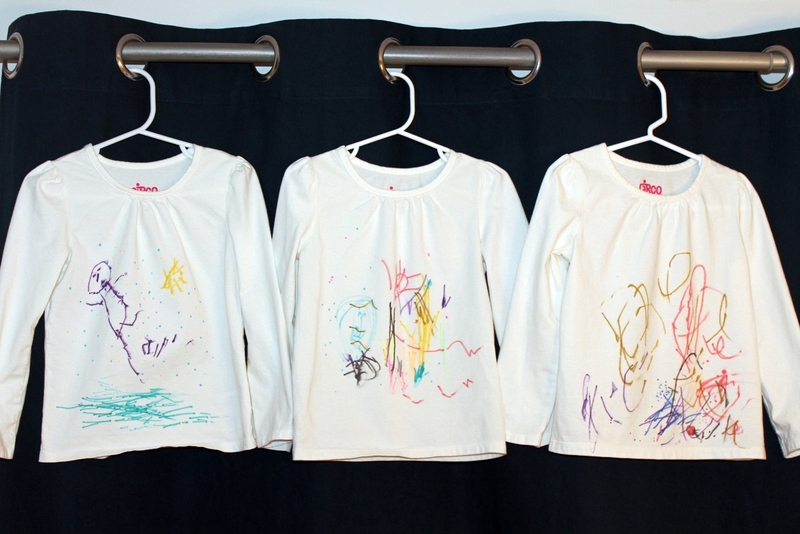 They are the Circo brand shirts that we already love, plus they were on the clearance rack for $3.50 each! That’s actually about the same price or slightly cheaper than the craft store ones so I felt like it was a double win. – We used Tulip fabric markers and also Marvy Uchida Graffiti fabric markers (in the fluorescent shades). Both packages recommended pre-washing fabric beforehand. – It helped to slip a piece of cardboard in between the front and back layers of the shirts. 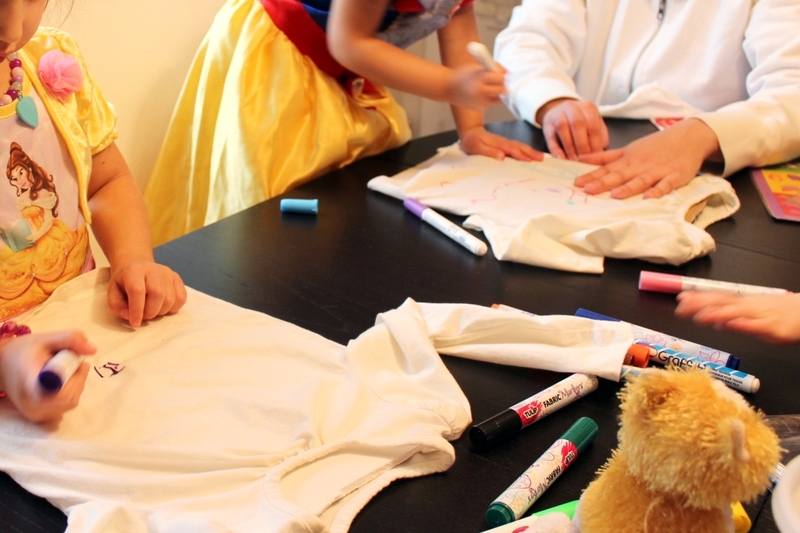 This gave a smooth and solid surface to draw on top of, plus prevented marker leakage to the other side of the shirt. – Wait 24 hours before washing the garment after drawing on it so that the color can set in. I found the tote bags at a JoAnn fabric and crafts store, and they were sold in a 3-pack. I found the monogram stick-on patches (in each of the girls’ initials) in the dollar bin area at a Michael’s craft store. If you go to each store’s website you can usually download the current coupon and save 40% on one item. I got a four pack of long sleeve onesies at Carter’s while they had one of their 40% off everything sales. It was so much fun decorating these too! We also used a piece of foam board in between the layers to prevent the ink from bleeding through the material. 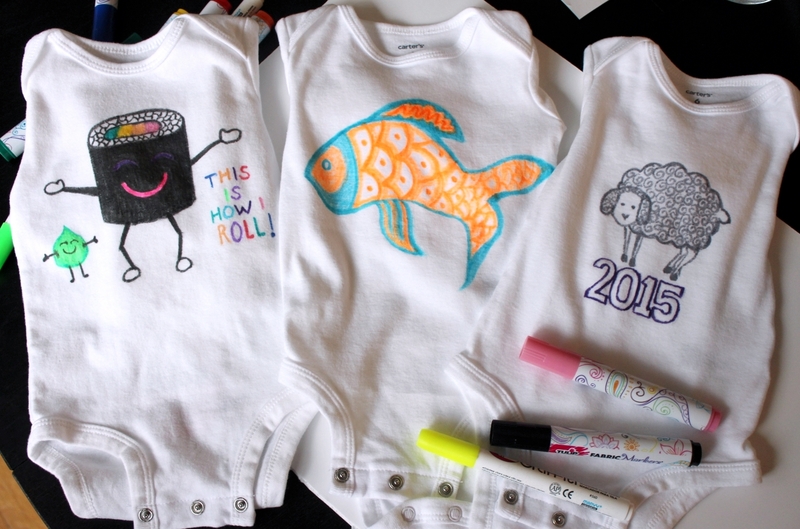 I got this idea after attending a baby shower last year where they encouraged guests to decorate a onesie for the mother-to-be. 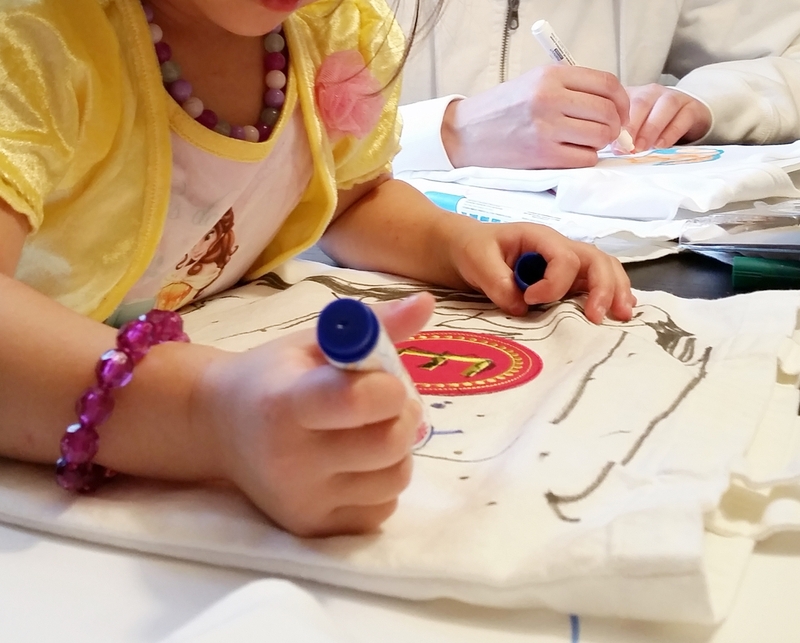 The girls loved the creative freedom to be able to doodle whatever they wanted to on their own shirt and bag. It was also nice to have an activity where the adults could participate too. 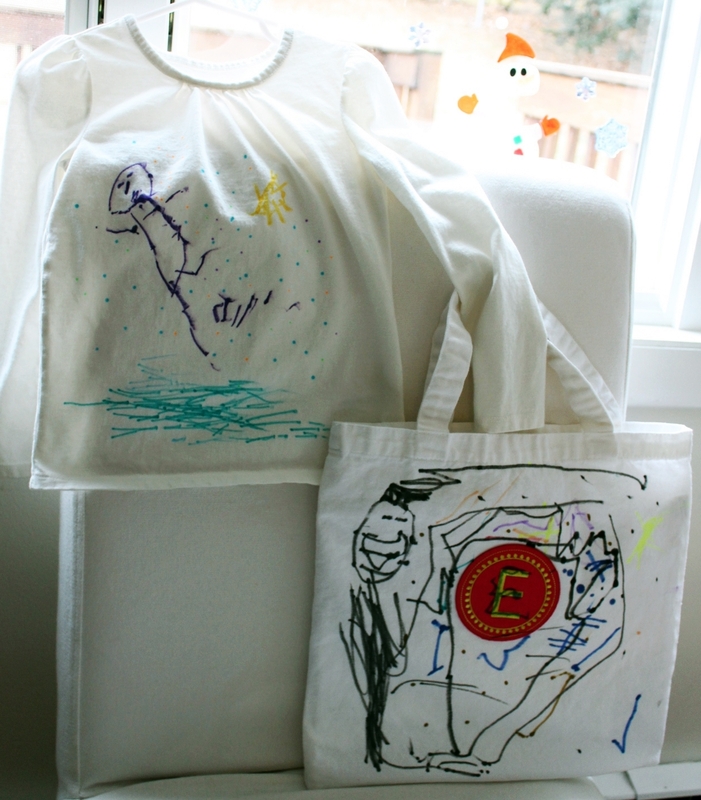 This entry was posted in crafts, creativity, fabric, toddler approved, toddler crafting, toddler crafts and tagged crafting with kids, crafts, fabric paint, onesies, play date ideas, toddler crafts, toddlercrafting, tote bag by shortcakescraps. Bookmark the permalink.